The internet is full with stories of RV owners who travel from town to town in search of adventure. However, these stories only show the “glamorous” side of the RV lifestyle; from being able to live and work anywhere, to having more leisure time. Perhaps the least talked about (and not-so-fun) aspect of the RV lifestyle is taking care of one’s energy needs. Unless you have the security of staying in an RV park you’re almost constantly on the search for a reliable source of electrical power that you can use to charge your appliances, electronics and RV battery. 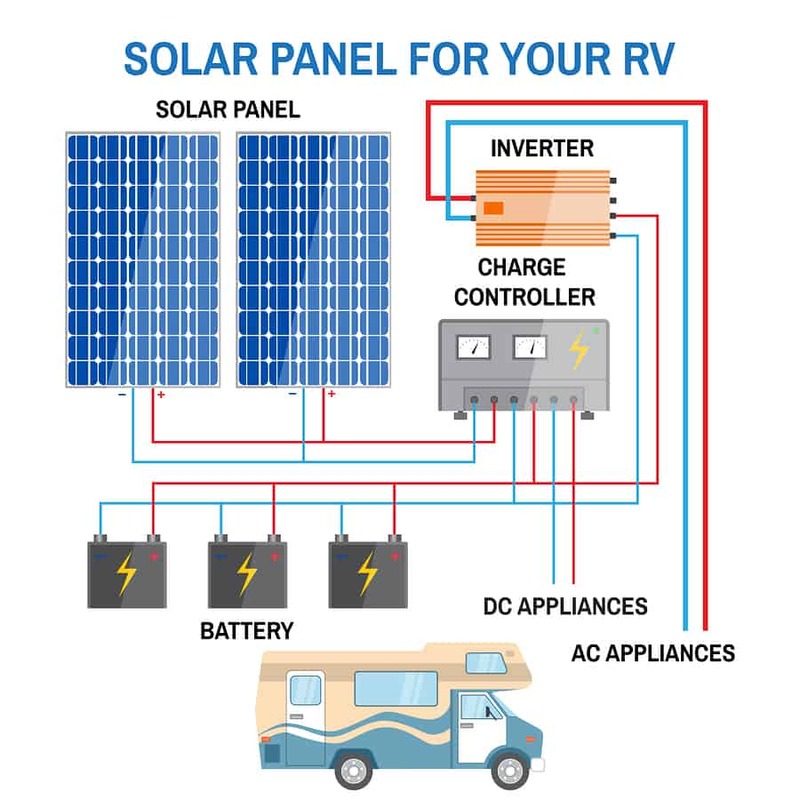 The only viable option for RV setups that are completely off-grid is to install a 12 volt solar battery charger for campers. This battery charger will keep all of your batteries powered up throughout your trips. As with most solar products, solar chargers come in different types. However, they all share three similar characteristics that make the purchasing process that much easier. Typically, a 12 volt solar battery charger for campers comes with a solar panel/s, a solar charge controller and a connecting apparatus that enables you to attach the batteries. Living the RV life often means trimming down your possessions to the point that you end up becoming a minimalist. That’s because RV’s can only carry so much and it’s best to leave behind items that could get thrown about while you’re driving. For the best experience, you should only travel with items that are able to fit into the camper’s storage compartments. Items should also be easy to install and remove when necessary. Luckily, most solar battery chargers fit this description and are thus perfect for RV travel. There are different models to choose from of course such as portable solar panels that you keep safely stored when not in use and ones that can be installed on top of the RV for constant sun exposure. Installing the solar panel on your RV is seen as an ill-advised move because you have to find a suitable spot that will allow it to harness the sun’s energy while keeping it protected from the elements. A fixed panel will also make it harder for you to update your solar setup when an upgraded system comes along. There will be lots of components to disconnect and you’ll have to reinstall the new solar system in its place with a whole new controller to boot. That’s why a portable solar charger is much more efficient and convenient. You can keep it safely stored away when not in use and charge it every time you stop the RV at a rest spot so that you can recharge your RV batteries. It’s also important to consider the amount of power that your RV batteries will require. 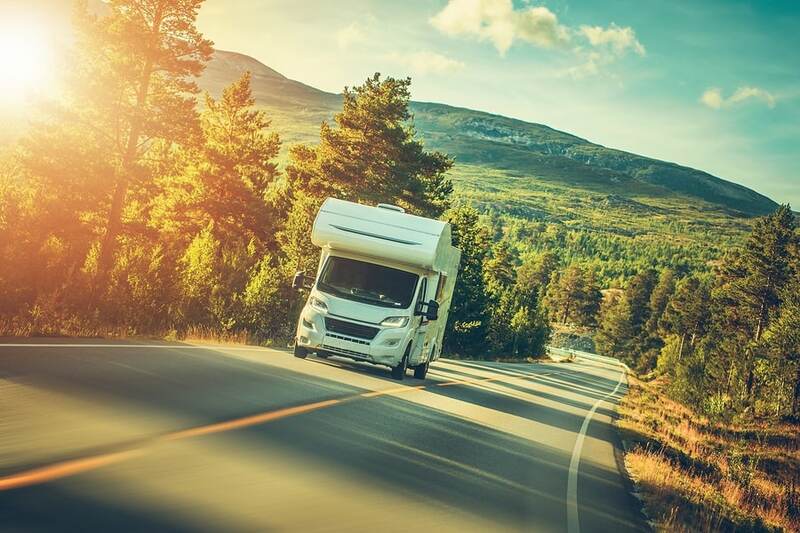 Since you’re constantly using them, RV batteries tend to be a bit more taxing on the solar charger and often require frequent recharging in order to operate optimally. This is in stark contrast to starting batteries that rely on a modest amount of power. You’ll want to keep the recovery window between low-battery to fully-charged extremely short. 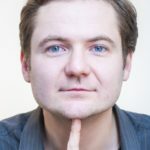 This becomes a challenge when you’re operating an off-the-grid solar battery charger setup, as opposed to when you’re plugged into a central electricity grid. As a result, experts often advise that RV owners carry a gas generator as back-up. Just keep in mind that it’s a bulky item that takes up a lot of space and it’s flammable too. In contrast, a solar battery charger is lightweight and highly portable. There are many advantages to using a solar battery charger in your RV. It’s environmentally friendly, safer for your vehicle, it’s lightweight and portable and it doesn’t require any fuel. The only downside to purchasing a solar battery charger is that it’s a bit expensive. Plus, the faster it is, the more expensive it’s likely to be. You also have to consider the amount of power that you’ll need for your RV because it will be different from one scenario to another. As a general rule, solar charger experts recommend getting a unit that has 100-watt energy capacity. This just about covers a full charge for a hungry RV battery. Even with all the knowledge that we’ve armed you with in this buying guide, you still need to comb through the available options to choose one that’s most appropriate for your circumstances. For the best results, get a comprehensive RV solar panel kit. This comes with a solar panel as well as a charge controller, while an individual solar panel requires you to purchase the charge controller separately. You need the charge controller in order to protect your batteries from overcharging. Depending on the size, your solar panel setup might be too heavy to carry in your camper van. That’s why most RV owners prefer smaller power setups. However, if you absolutely need to buy a large solar battery charger then you should get a foldable model that’s easy to stow away in the RV when not in use. Just keep in mind that the size of your solar panel alone will not guarantee performance. You still have to consider the weather conditions, as scant sunlight exposure can significantly reduce the panel’s effectiveness. At some point, you may also have to place the panel at a certain angle so that it can catch the sun. This is why adjustable solar panel stands were invented and you should definitely consider investing in a solar battery charger setup that has this component. It’ll allow you to mount the panel anywhere you like, as long as there’s some sun exposure. At this point, all you have to do is adjust the panel so that it’s facing the sun and you can look forward to a quick charge. Some stands come attached to the panel while others are separate, but they both serve the same purpose. So it’s up to you which one you prefer. flexible solar panel is an option for RV .